New Zealand ranks fourth in the world as the best place to be a mother according to Save the Children’s 13th State of the World’s Mothers report. Niger ranks at the very bottom. The ranking, which compares 165 countries around the world, looks at factors such as a mother’s health, education and economic status, as well as critical child indicators such as health and nutrition. The report shows that 7 out of 10 worst countries in which to be a mother (Afghanistan, Chad, Eritrea, Guinea-Bissau, Mali, Niger and Yemen) are in the midst of a food crisis. Six out of these ten countries have seen an increase in stunting over the past two decades – where children’s mental and physical growth is permanently blighted by malnutrition. Save the Children estimates that over the next 15 years 450 million children’s brains and bodies will not develop fully because of stunting. In the worst affected countries a combination of global trends – climate change, volatile food prices, economic uncertainty and demographic shifts – all impact on a woman’s ability to look after their children. If you are a mother in the worst affected countries there is a high chance your child will be one of the five that die every minute of every day from malnutrition-related causes. That’s why investing to fight malnutrition makes economic sense.The world isn’t short of food – rather food isn’t reaching the poorest families at a price they can afford. Pervasive long-term malnutrition is eroding the foundations of the global economy by destroying the potential of millions of children. Acting now saves dollars as well as lives. In new research for the report, Save the Children found that the simple measure of supporting mothers to breastfeed could save one million children’s lives a year. Yet the report also shows that less than 40% of all infants in developing countries receive the full benefits of exclusive breastfeeding. “Our report shows that a mother’s breast milk – one single nutrition intervention – can save a million children’s lives each year. Policies and programmes must be put in place in all countries to ensure all mothers have the support they need to choose to breastfeed if they want to. 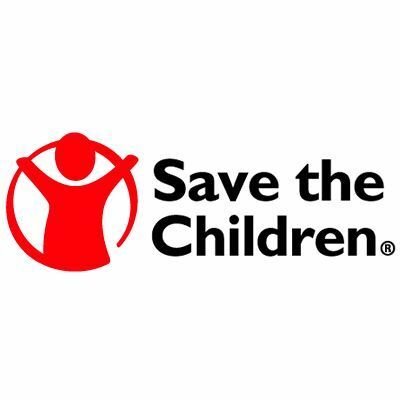 Acting now not only saves lives, but saves dollars as well,” said Save the Children New Zealand CEO, Liz Gibbs. “Early intervention can prevent future food and nutrition crises. World leaders must draw up a new plan to address the long-term solutions for food insecurity and malnutrition that are the underlying causes of food crises such as that in the Sahel today,” said Ms Gibbs.